I can only urge all my Conservatives in the Commons to act to save our party and the country from the growing dangers of a failure to honour their pledges to deliver Brexit without strings. The prerequisite for that is the removal of Mrs May from Number Ten to make way for a genuine Conservative. That must be done very soon or first the Conservative Party and then this Kingdom will be destroyed by the neo-Marxists’. My apologies to Lord Tebbit. On Saturday he also added his voice to those who believe the first and necessary step to deliver Brexit (and save his party and the country) is the removal of Mrs May. The leadership contenders, however, would have us believe that SHE is not an issue. Anyone reading Boris Johnson’s column this week would be forgiven for believing she no longer exists. The real problem is otherwise, that other virulent disease plaguing our land, not violent crime but ‘Brexchosis’. This is the word he’s coined to blame for otherwise lovely people like David Lammy accusing himself, the former democratically elected London Mayor, of being a Nazi. Did Boris really need to assure us that his period overseeing the capital city did not equate to a Nazi regime? Did he really need to make excuses for the Leftist bile that’s been heaped on Brexiteers which in his dreams will all go away when Brexit is delivered, which it must, he assures us? He himself at the helm as the post-Brexit ‘One Nation’ healing spirit? All very nice, but I’d be fascinated to know how many other ‘Leavers’ in his party share his confidence that Brexit will just, in a puff of smoke, happen. It’s not just Boris engaging in wishful thinking. Jeremy Hunt, who’s also got his eye on the crown, is willing Brexit on to happen – one suspects in the hope that that unmentionable problem, SHE, will then depart, taking with her all the blame for the lousy ‘deal’ she landed us with. Hence his studied optimism. The Labour/Tory talks, he opined, ‘are more detailed and more constructive than people had been expecting on both sides’. . Ever eager to help Mrs May on her way sooner rather than later, he’s urging her to repair relations with DUP, warning against a ‘highly damaging’ lengthy Brexit delay. Just how she is going ‘to find the way’ he says she must, who knows? Meanwhile away from Number Ten (does Olly go on hols with her? ), from the rainy Welsh mountains Mrs May has ordered another dose of fudge (saying one thing and meaning another) for the nation. Just days after the email leak of Sir Mark Sedwill’s instruction to the civil service to halt on No Deal preparation and the fury that aroused, Kim May wants us to understand it is she who is charge after all, and that she has ordered No Deal planning to continue. An email she sent to the civil service yesterday also conveniently crossed the Guardian’s desk, the destination I imagine it was always meant for. It gave her exactly the headline she (and Number Ten no doubt) wanted: Theresa May: no-deal preparations will continue despite Brexit delay. The article’s strapline read: ‘UK prime minister writes to civil service to rebuke reports contingency plans were being wound down’. May clarified this point, writing that some no-deal planning would continue. Senior civil servants including the cabinet secretary, Mark Sedwill, would decide which plans could be shelved, the prime minister said. ‘On preparations specifically for leaving the EU without a deal, you will rightly be guided by the cabinet secretary and by your own permanent secretaries about continued planning. 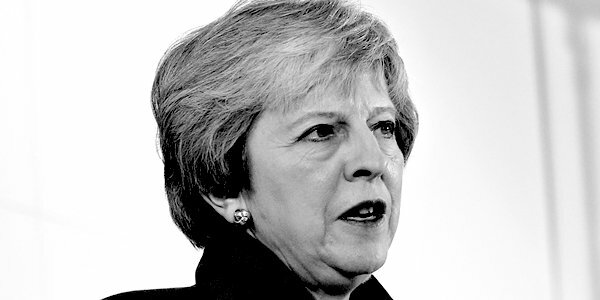 Necessary preparations for a no-deal outcome must continue, though with sensibly adjusted timescales given the extension we have agreed,’ May wrote. ‘Some’ planning and ‘you will rightly be guided by the Cabinet Secretary’. You bet they will be. Where’s the countermand in that? So May carries on scheming while her rivals faff around, terrified of moving too soon and hoping someone else will get rid of her for them. But they can’t make the May council elections go away, nor the likely EU elections, neither of which her demoralised party has any appetite to fight and in which they will be wiped out. What, you have to ask, is the rock bottom they are waiting for – by which time it will be too late – before they topple Theresa? We at TCW are still counting the days. Today is Day 12 . . .